A Japanese spiritual practice that boosts personal balance and well-being through meditation & energy work. We all want it: that state of ease and lightness where things seem to just flow. Relationships feel smooth and fulfilling. Work goes well and Monday mornings don't feel like a dreadful odyssey (OK, for the most part). And we get it. Sometimes. After a great yoga class. An amazing heart to heart with a close friend. A fantastic date. A great work meeting. A sound bath, or a massage. And then it goes away. I know. I've been there. I'm Nathalie by the way. I worked most of my life in journalism and advertising and I was the queen of band-aid fixes, until the day they didn't work anymore (hello burnout!) I needed something sustainable. A practice that could transcend the meditation cushion or yoga mat and impact my daily life in a meaningful way. And then I found Reiki. A Japanese spiritual practice that promotes balance through hands-on healing and meditation tools. The practice is so hands-on—literally—that it was a great way to relax my body but also my brain. The warmth of the hands during Reiki treatments slowly melted stress away (bye bye chronic migraine!) and started to build more clarity and confidence. The fact that it made me sleep like a baby didn't hurt either. As I dove deeper into the practice and its Japanese roots, I learned Reiki-based breathing techniques, visualizations and meditations that have transformed my life. Not in a fairy tale way perhaps, but in a profound way. They made me feel safe enough to become openhearted and know that—whatever happens—I can just sit with the issue with a deep conviction that somehow I'll be able to handle it. That's precious. The other day I was smiling, very relaxed while leading a Reiki & Meditation Circle and one of the participants told me: "I can't believe people like you work in advertising." Are you ready to experience some Reiki goodness? 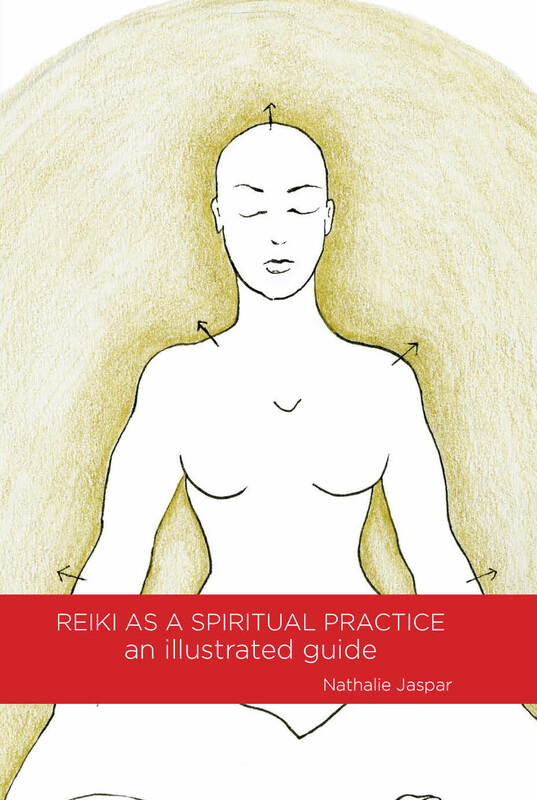 Get my new illustrated guide for Reiki practice. It includes fully illustrated how-tos to the hands-on healing protocol and 10 additional traditional Japanese Reiki meditations. Discount for bulk orders available. Since Nathalie has joined our team at YES Studio, she has proven to be an absolute treasure. As our weekly Sunday meditation teacher, she has brought joy, compassion, and exceptional teaching to our studio and our students.